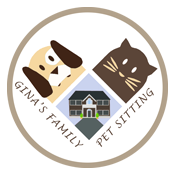 Gina's Family Pet Sitting is a licensed and insured dog walker in Fitchburg, MA. We provide loving care for your pets as if they were our own. 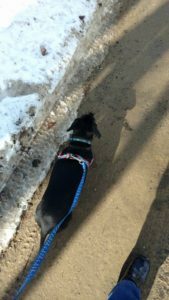 When you choose Gina's Family Pet Sitting, you stay completely informed of each visit and how your dogs' walk went for peace of mind. We play ball, Frisbee, etc in your own yard and/or walk by leash if sidewalks/roads are safe for dog(s) feet or general safety. Out to do “business” and get treats or midday meal as provided by pet parent(s), play indoors or outside (as weather permits), back into crate or special safe area in your home for safety and house-training purposes. Extra cuddles are free of charge!